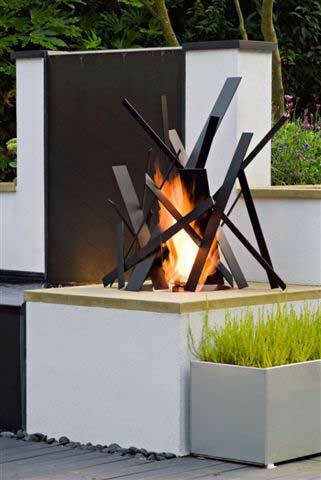 Below are examples of what can be achieved using our range of outdoor gas fire pit burners. 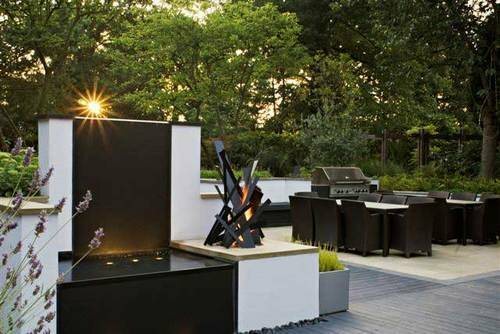 There is a growing trend in the UK among garden designers, in using an outdoor fire to act as a focal point for your garden. 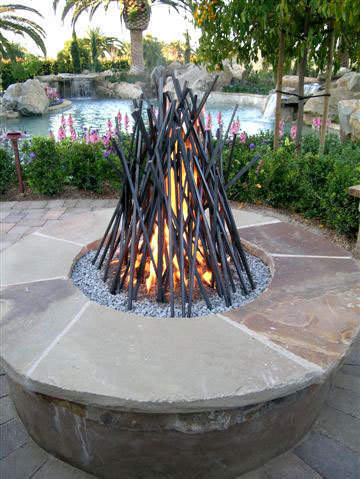 An outdoor gas fire pit can indeed change the ambiance of your entire garden. The mystique of the fire has always captured our imagination and in the summer, there is nothing better in the evening than relaxing in your garden with a gentle fire. People in the UK are growing more creative and inspired by TV makeover programs and there is a trend of building your own. 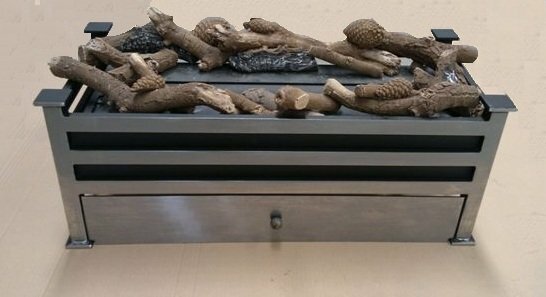 To that end, we have introduced this gas fire pit; to allow you to design and build a unique gas fire for your garden. 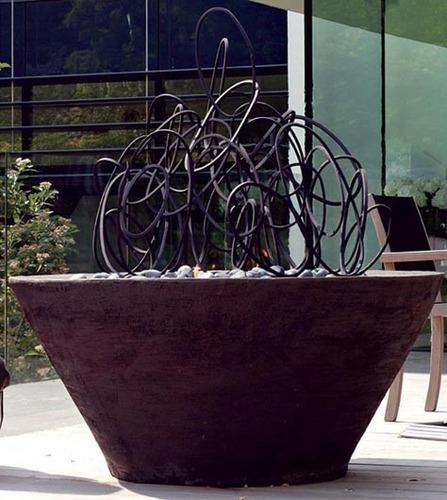 Our CE approved gas fire pit is unique to the UK and can be used to create a stunning gas fire pit running on either natural gas or LPG. The beauty of gas fire pits is that the flames and heat are instantaneous. In addition gas fire pits are clean and smoke free. At the end of an evening stood aroung a gas fire pit you won't smell and you won't have to clean up any mess. When considering an outdoor gas fire, you can choose lpg or natural gas. Long term, natural gas outdoor gas fires will be cheaper to run but will cost more to install than an lpg outdoor gas fire. 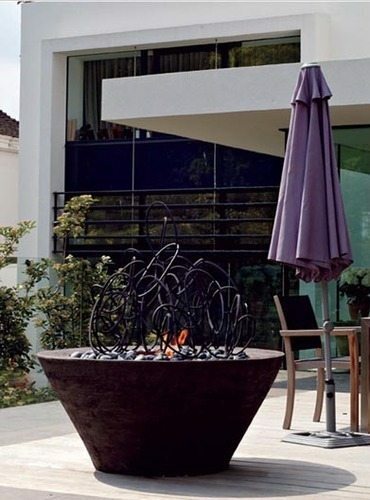 Our gas fire pit is made from 100% stainless steel and is weather resistant, although we do recommend that you cover the gas fire pit from the lements to prolong its life. When you choose to purchase a gas fire pit, you need to think about its location and of course how it looks. A basic gas fire pit will involve placing rocks around the gas burner and running a fleexible hose to an lpg bottle. 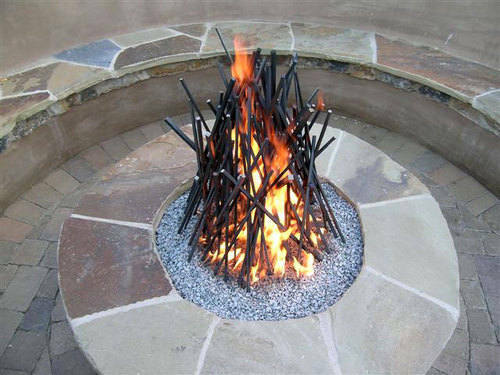 More complicated installations can involve building a gas fire pit table around the burner and running a protected gas underground to the gas fire pit. This will need to be performed by a trained gas installer. 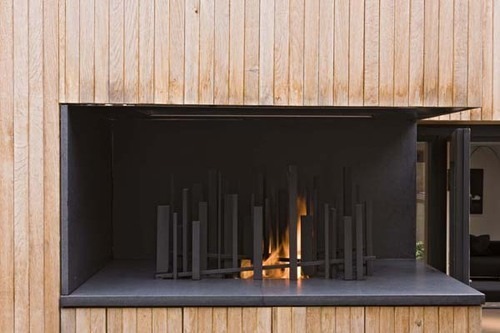 Though a defining characteristic of gas fire pits is that they are designed to contain the components of the fire at all times, it is always most prudent to take safety measures in the event that very hot materials do escape from its confines. Also, whenever using a fire pit, you should make sure to rake the surrounding area to remove dead leaves or other debris that could potentially catch on fire should strong winds blow material into the naked flames. Good garden maintenance and monitoring the area surrounding the gas fire pit removing any low lying branches from above it or debris around it is prudent. Fire pits have the potential to be dangerous, however the steps needed to be taken to ensure their safety are minimal though important. Click to view the full Rivelin gas fire table range.